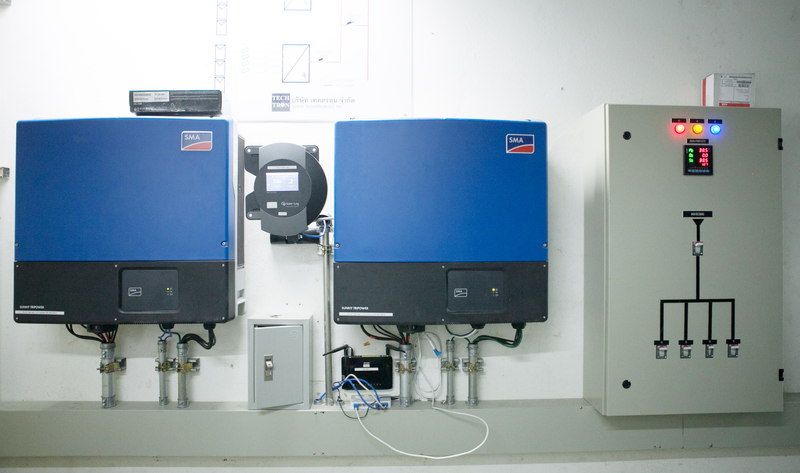 The large magnitude of solar energy available in Thailand makes it a highly appealing alternative source of electricity. 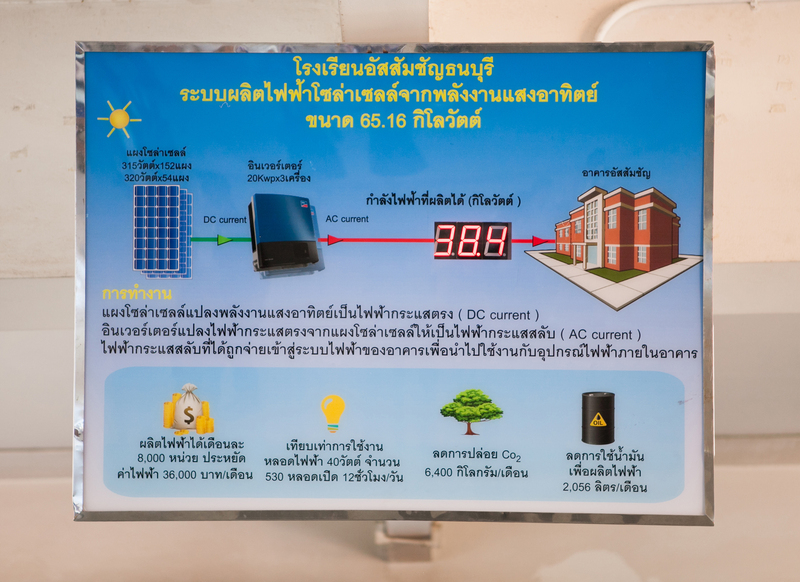 Assumption College Thonburi Solar Energy Centre is equipped with 356 solar cells that have the capacity of generating electricity of approximately 168,000 kWh/year, supplied to both Assumption and St. Peter’s Building. This project helps save the electricity bill of over 730,800 THB/year and reduce the emission of greenhouse gas of up to 94,248 kgCo2e/year. At present, this centre serves as one of the most significant learning centres for teachers, students, local communities, as well as companies in both public and private sectors.